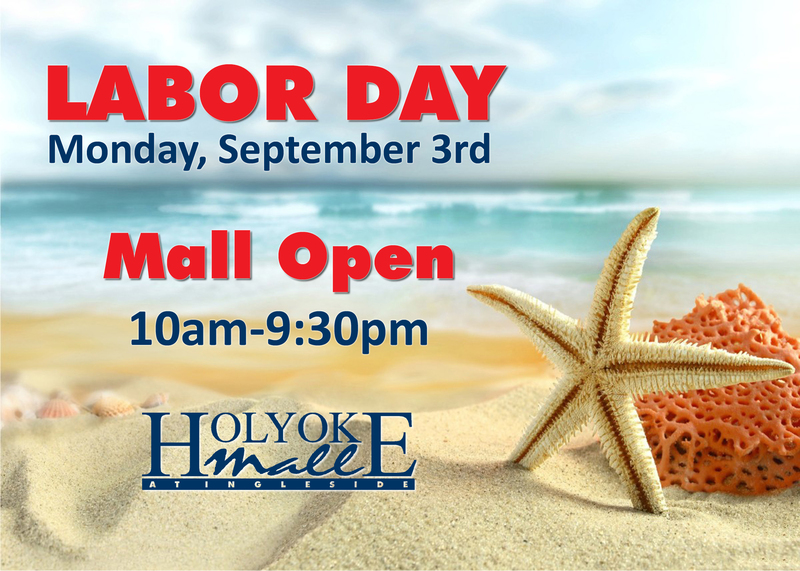 Holyoke Mall will be open from 10:00 am to 9:30 pm on Labor Day, Monday, September 3, 2018. Check out these amazing deals and more at Holyoke Mall! BareMinerals: Get $20 off a purchase of $75 or more and get $30 off a purchase of $100 or more! Pandora: Buy two or more items, get 25% off your entire PANDORA purchase! See store for full details.